Fremont Auto Center is a full-service Hyundai repair shop. Our technicians are ASE certified, and they have the latest training, as well as state-of-the-art equipment necessary to take care of your vehicle. Whether your Hyundai needs factory scheduled maintenance service, oil service, new brake pads, or major repairs, Fremont Auto Center can get your vehicle fixed and back on the road. Servicing your Hyundai with Fremont Auto Center will keep your manufacturer warranty in force. 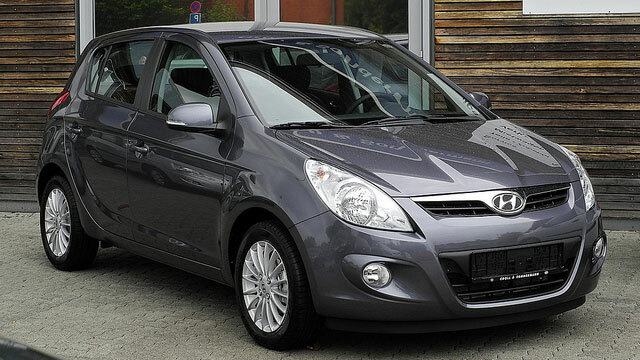 Hyundai is an economical car to buy and to own. Regular maintenance, and following factory recommended schedule of services, will go a long way to keeping your vehicle reliable and safe to drive. Still, like all cars, Hyundai may encounter some problems - 2011 Hyundai Sonata experienced engine issues, 2007 Hyundai Santa Fe model experienced fuel gages not working correctly, and 2013 Hyundai Elantra can experience brakes that make grinding noise. Overall, though, if well maintained, your Hyundai should provide you with many years of reliable transportation. Being a full service shop, we can diagnose and repair a wide range of – whether your Hyundai needs a new battery, or the check engine light is on, or air conditioning is blowing warm air, or it needs new cv boot, electrical diagnostics, timing belt replacement, fuel pump repair, faces transmission issues, or major engine repairs – we can get those diagnosed, fixed and get you back on the road. Fremont Auto Center also performs 30,000, 60,000 and 90,000 mile Hyundai service, fluid changes, minor oil service, brake flush, tire rotation, and other services that a modern car may require. So if your Hyundai needs service or repairs, make an appointment online, or give us a call.